Brother Nitai Weinberg does not look like the typical stroke victim. In 2016, when he was only 18, he suffered a hemorrhagic stroke while attending school. The stroke was caused by a malformed blood vessel in his brain that ruptured and leaked blood, causing damage to the surrounding tissue. When his speech started slurring and he lost control of his arm, he knew something was wrong and called his dad who is an ICU doctor. His dad, quickly understanding what was likely happening, advised him to call an ambulance and head to the hospital. When the doctor first told him what had happened, he was in shock. It took him awhile to process the news. One of the hardest things for Brother Weinberg to process was that no one thought he could be having a stroke at his age. His friends and the paramedics doubted the possibility, which added to his stress. After spending a week in the hospital, he was moved to a rehabilitation center for a month. There, he worked on regaining motor function of his arm. Six months after the stroke, he returned to UBC. His course load has been light and his determination has become one of his biggest strengths. His interest in kinesiology, the study of the mechanics of body movements, was sparked due to his condition. He is moved by the idea of educating others about the signs and symptoms of a stroke. He is involved with the Heart & Stroke Foundation, donating his time and money to their cause. The brothers at UBC have been there for him every step of the way. He hopes to have an opportunity to attend a Taglit-Birthright Israel trip since he was born in Israel before moving to Canada when he was three. The fraternity gave him the opportunity to grow as a person and become a leader. 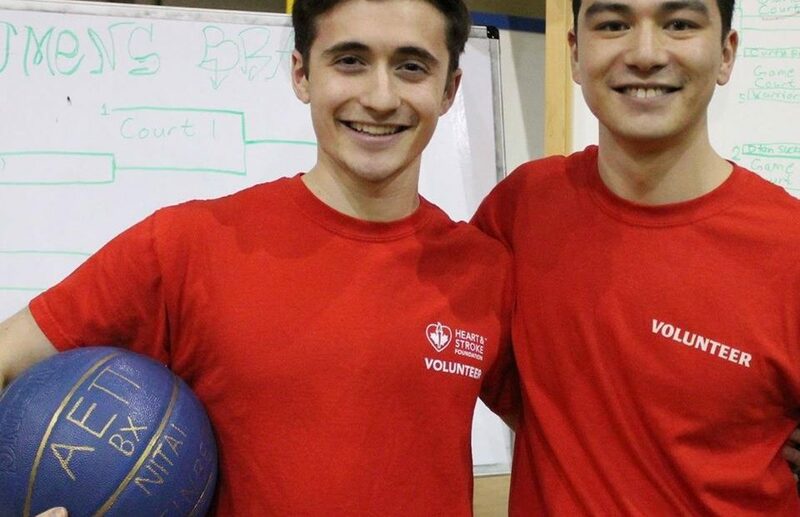 He organized a March Madness event to raise money and awareness for the Heart & Stroke Foundation. After graduation, he hopes to attend medical school so he can pursue neurology. He felt it was the right choice to get back into things as fast as he could. “I think it’s important in life, no matter what your situation is, to find the positives. Even in the worst of situations there’s something you can gain, something you can learn and a way in which you can grow or see something in a new perspective. Although my experience was tough for someone my age to go through, it has allowed me to come out even stronger than I was before. Now I feel empowered to advocate for people in similar situations to mine in hopes of creating a more aware and educated world”.